You can find lots of things to do in Sugar Land, Texas. There are plenty of activities, recreation, performing arts, parks, entertainment, libraries and don’t forget about Golf. 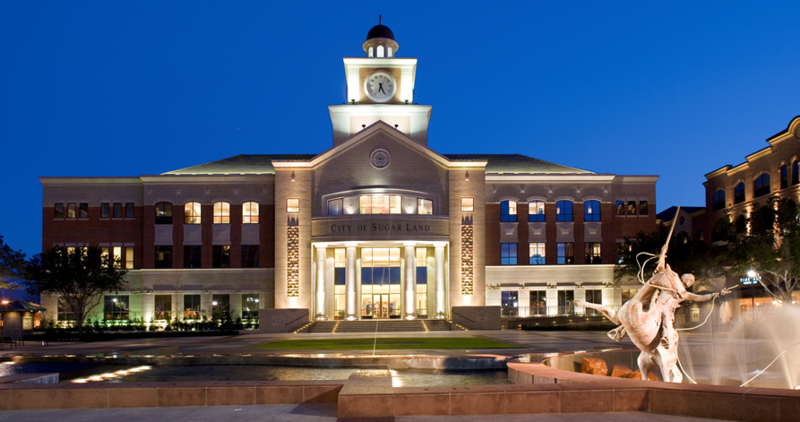 Sugar Land is also a colorful and affluent community located just 30 minutes due South West of Houston, well known for its Southern hospitality and Texas charm. Sugar Land represents a nice way to enjoy a safe, friendly family environment while still being close enough to the big city to enjoy the cultural diversity, entertainment, and business opportunities that go along with it. Youth, adults and family can enjoy the organized sports activities in Sugar Land, Texas. Sugar Land is home to its Atlantic League baseball team, The Sugar Land Skeeters.The Sugar Land Skeeters are an American professional baseball team based in Sugar Land, Texas. They are a member of the Atlantic League of Professional Baseball, an independent league not affiliated with Major League Baseball. Beginning in the 2012 season, the team plays its home games at Constellation Field. The Skeeters are the first Atlantic League team to play outside of the Northeast; the team is also the first of a planned Western division to include four to six other teams. Visit the Sugar Land government website for information and location of parks in the Sugar Land area. Cypress Course at Sweetwater Country Club was first built in the early 1980’s as a 9 hole track built for the LPGA and their Hall of Fame. In the 1990’s they added more and now it is now two 18 hole course layout. The Greatwood Golf Club is known for its white sand bunkers and impressive par 3s, three of which play right at or over 200 yards. The 1989 Carlton Gipson design features elevated tees and greens that sandwich plush fairways and are contoured with mounds. The 434-yard par 4 hole 5 is one difficult par, featuring a fairways loaded with bunkers and involves water on the approach. No. 18 goes 576, yards. While the tee shot is fairly standard, the second shot must land short of a plateau and might involve a blind approach shot if placed too far to the left. The intimidating approach plays into a green surrounded by water on three sides.